Conflict between the Obama administration and Israel is only just beginning. The brouhaha over Prime Minister Benjamin Netanyahu's March 3 speech to Congress is diverting attention from more important U.S.-Israel controversies that will escalate soon after this comparatively minor contretemps fizzles out. At the U.N., the Palestinians and Europeans will press forward after the March 17 Israeli election, submitting draft United Nations Security Council resolutions that they postponed at the request of Secretary of State John F. Kerry. They are pressuring the administration to join this effort to impose terms on Israel, and not to veto. In the Iran talks, there either will or won't be a framework agreement by the March 31 target date, and either way there will be a clash between friends of Israel and the Obama administration — either about the terms of the agreement, or about intensified sanctions in the absence of an agreement. 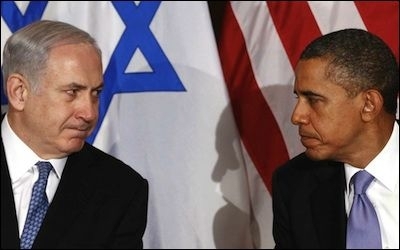 After March 17, President Obama will be making a series of fateful decisions affecting Israel. At the International Criminal Court (ICC), the "State of Palestine" will achieve full membership on April 1, opening the way for potential war crimes complaints against Israel. By June, the total VAT and clearance revenues that the government of Israel is withholding from the Palestinian Authority will approach $1 billion. The United States and other patrons of the PA will argue that the resulting debt and unpaid salaries to civil servants and security forces are bringing the PA to the point of collapse. Yet, at the same time, the Obama Administration will be required by law to suspend $400 million in U.S. budgetary assistance to the PA.
And the deadlock between the PA and Hamas that has impeded reconstruction of Gaza is likely to bring the enclave to a boiling point in about the same time frame. Some will blame Israel. After the Israeli election, a new package of sanctions against settlement products will be announced by the European Union. Israel will not have a fully functioning government for some weeks after the voting takes place on March 17, because, based on past experience, assembling a multiparty coalition to empower a viable government is not likely to be completed until about May 15. Most polls indicate that the next government will be headed by Benjamin Netanyahu and the Likud, but there is uncertainty whether he will head a narrow government of the right and religious or a wider coalition including elements of the center-left. A deadlock is also possible, resulting in greater delays before control of the key ministries and the guidelines of the new government are decided. In Washington, shortly after March 17, President Obama will be making a series of fateful decisions affecting Israel, while the Jewish state is absorbed in sorting out its internal decision-making structure. Mr. Obama and Mr. Kerry are likely to press Israel to turn over to the PA hundreds of millions in escrowed clearance revenues, at the very moment that the PA is seeking prosecution of Israel at the ICC and going to the Security Council in an effort to impose Arab demands on Israel. Mr. Obama may sign an accord that leaves Iran with 6,500 centrifuges, against the opposition of his most important Mideast allies in Israel and the Gulf states, even if a majority in Congress opposes the agreement. If there is no Iran agreement, Mr. Obama may still veto the Kirk-Menendez Nuclear Weapon Free Iran Act, arguing that it will impede his "Plan B" policy of keeping the Joint Plan of Action as a de facto long term interim arrangement. 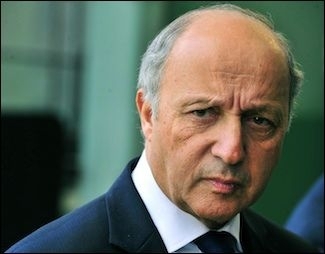 French Foreign Minister Laurent Fabius believes that "pressure is required from the international community" to help Israelis and Palestinians "take the ultimate step" toward peace. At the United Nations, France plans to submit a resolution in cooperation with Germany and the U.K., because, in the words of Foreign Minister Laurent Fabius, "pressure is required from the international community to help both sides ... take the ultimate step." It will propose "clear parameters for resolving the conflict adopted by the international community in advance" and a firm timetable to "provide the basis for future negotiations." France is looking for a compromise resolution "which everyone can get behind" because the Americans have already said that they will veto the Arab draft. The E-3 draft calls for a comprehensive agreement "no later than 24 months after ... this resolution" instead of the 12 months in the Arab draft. It calls for "full phased withdrawal of Israeli security forces" from the West Bank and Gaza, but deletes the Arab draft's demand that this be completed by the end of 2017. It "looks forward to welcoming Palestine as a full member of the United Nations," but deletes the Arab draft's conclusion that this must occur by the end of 2017. While the Arab draft demands a resolution of the refugee question "on the basis of the Arab Peace Initiative and resolution 194," the E-3 draft requires only a "fair and realistic" solution. And the French draft recalls that General Assembly resolution 181 (II) of 29 November 1947 called for a "Jewish state," while the Arab draft studiously avoids this phrase. Mr. Obama may allow the French E-3 draft to pass at the UN Security Council, or even vote for it. The administration has not commented publicly about the French E-3 draft. But some observers believe that Mr. Obama may allow it to pass or even vote for it, possibly using the U.S. vote as bait for American changes. But even with changes, the French draft endorses principles that will be problematic for the government of Israel: e.g., that borders should be "based on 4 June 1967 with mutually agreed limited equivalent land swaps"; that Israeli communities in eastern Jerusalem and the hills of Judea and Samaria "have no legal validity" and that Jerusalem should be the "shared" capital of two states. Most importantly, allowing a decision on this issue at the United Nations Security Council would be a victory for those who want the Great Powers to decide the outcome instead of leaving it to bilateral direct negotiations, a longstanding demand of the Arabs consistently opposed by Israel and, until now, by the United States. The bottom line: Mr. Obama has more opportunity to inflame U.S.-Israel relations on core issues in the next few months, than in any previous period since his ascent to the presidency. Steven J. Rosen, previously the director of foreign policy issues at AIPAC, is the director of The Washington Project at the Middle East Forum.